Why Would I Need a Cat Groomer? Matts and knots will become very uncomfortable over time. They may start out small but will only get worse if left un-checked. Your cat may try to scratch, lick or chew them out of their fur – often resulting in painful skins sores and furballs which they will try to cough up. Quite often, it is at this late stage that the owner will notice something is wrong and a trip to the vet the first point of call. The vet may remove the knots and matts by shaving and prescribing medication for any skin sores. With severe cases, the vet will need to sedate the cat in order to remove a badly matted coat. Sedation is necessary to ensure the vet team are not bitten or scratched from an upset cat, who will also be stressed from the journey and finding him/herself in a strange environment. 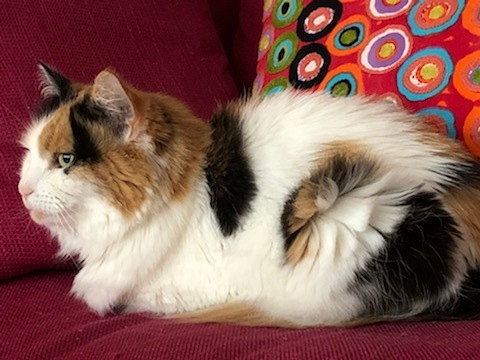 The owner may ultimately find themselves with a large vet bill of £ hundreds from the vets consultation fee, vets team work, medication and of course sedation & recovery costs – resulting in upset owner in addition to upset cat! In addition, owners may find their cats start to shed fur excessively at certain times of year, leaving cat hair over clothes, carpets and furnishings resulting in daily clothes brushing or vacuuming within the home. And for those cats who do regularly lick and clean themselves, this can lead to uncomfortable and unpleasant furballs being coughed up. Severe cases of furballs can require veterinary assistance if they become stuck and a cat cannot cough them up. So, how best to help your cat prevent or deal with these issues? Firstly – ideally, do not wait until problems have already developed! If you adopt a cat from a young age, try to get your cat used to being touched all over straight away. This includes not only the body and coat, but eyes, ears, teeth, paws and brush your cats coat every day if possible. This means you will know when your cat is healthy and will help you notice any changes in your cats’ condition. If you acquire an older cat, your cat doesn’t like being touched or you lack confidence exploring your cats body yourself, this is where a Professional Cat Groomer can help. By having your cat checked and groomed every 6-8 weeks, this could help reduce issues developing with your cats’ coat. Regular grooming could become a pleasurable experience for your cat and if the cat groomer offers a mobile service and can come to you, this also eliminates the stress of travel for your cat. helps reduce the amount of cat hair in your home - so both cat and owner benefits! Has the Cat Groomer any evidence of formal cat grooming training? Does the Cat Groomer take a holistic and calm approach in their work? Can the Cat Groomer come to my home by offering a mobile service? What range of services can the Cat Groomer provide? What products will the Cat Groomer use on my cat? 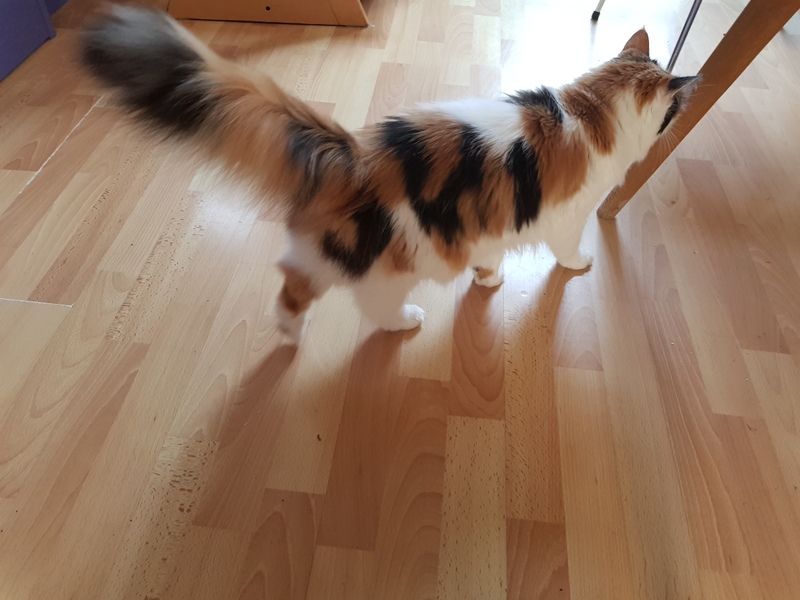 Do I understand the skills required from a Cat Groomer and how this is reflected in the charges? As with most things in life - prevention is better than cure. Therefore, consider hiring a cat grooming specialist on a regular basis, build a long and trusting relationship with your Cat Groomer which will be best for your cat and, ultimately, best for your pocket! 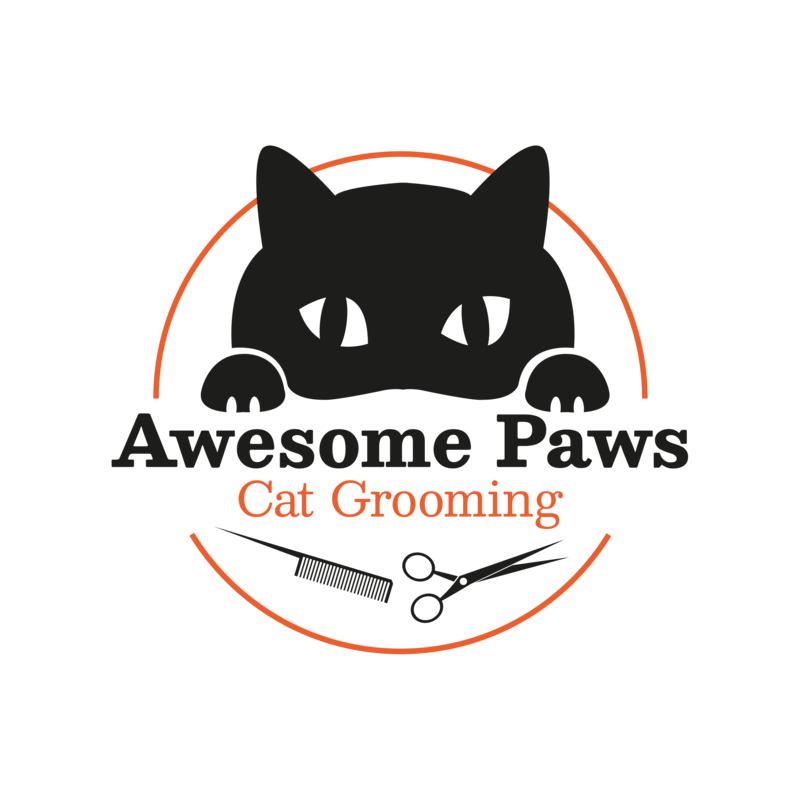 To discuss your requirements further, please do not hesitate to contact Pauline Kemp, Master Cat Groomer via pauline@awesomepawspetcare.co.uk or call 07534 441810.